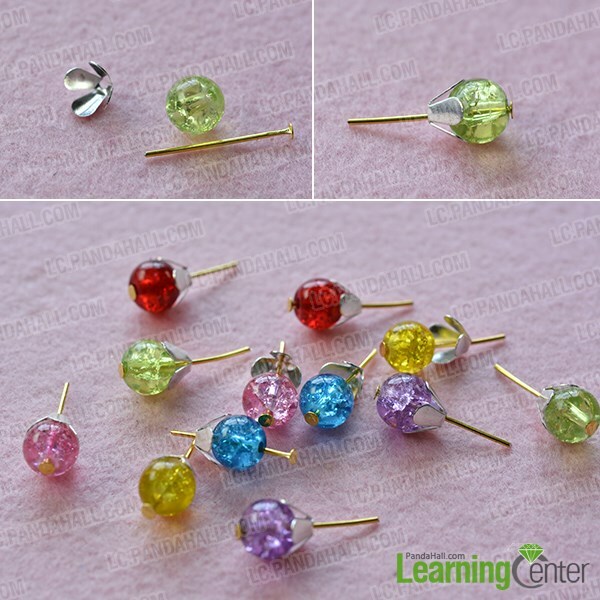 2nd, make other more such bead patterns with crackle glass beads in different colors, bead caps and headpins. 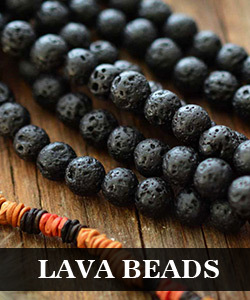 2nd, attach all the bead patterns to the cross chain one by one and attach a red glass bead pattern to the other end of the chain as pictured. 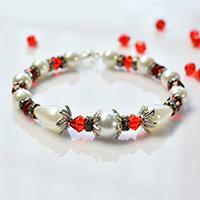 Here is the final look if the glass beaded chain bracelet. 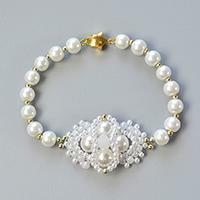 How do you think this glass beaded chain bracelet? 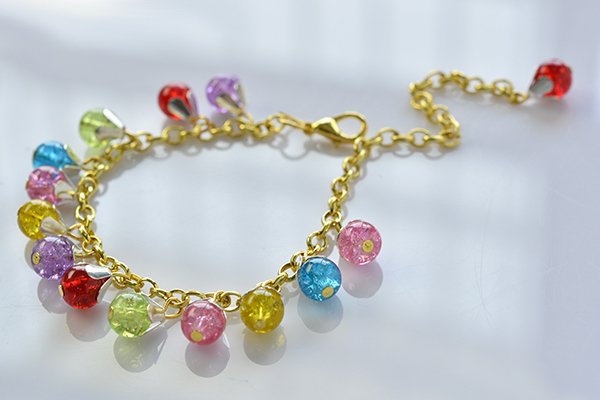 Do you wanna make glass bead bracelet like this one? 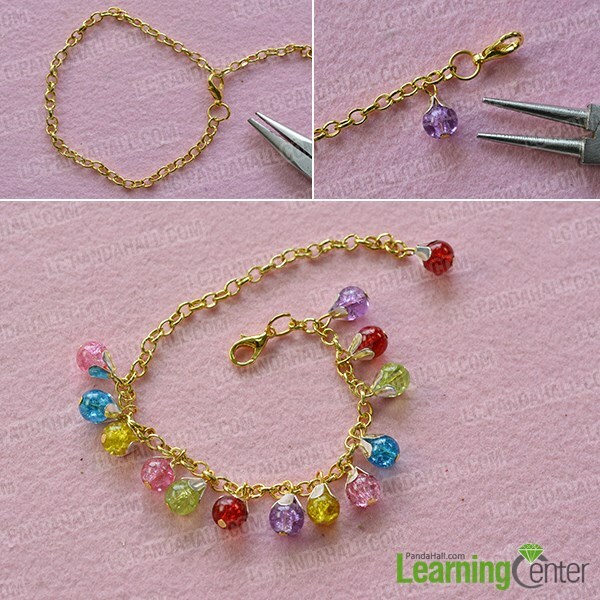 Just follow my detailed steps to make your own crackle beaded chain bracelet now!